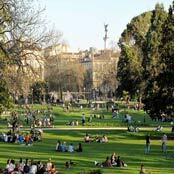 The finest hotels, bed & breakfasts, guest houses, apartments and holidays rentals in Bordeaux. A large choice: You will find something for every taste and budget. Book your accommodation now and benefit from our amazing prices. We guarantee a stress-free search and fast, easy booking. Whoever you are, whatever you’re looking for - it all starts here ! 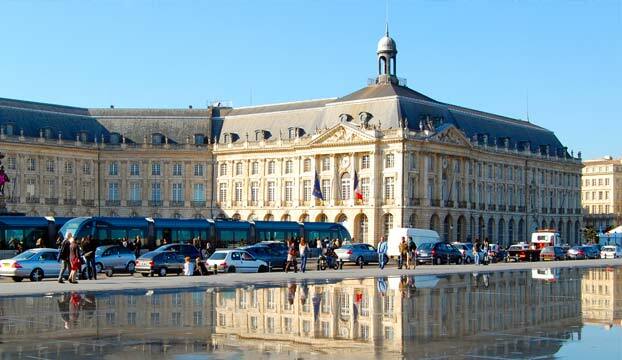 Bordeaux is a cosmopolitan and dynamic city located on the border of the water. In 2015, the city won the title of the "Best European Destination". 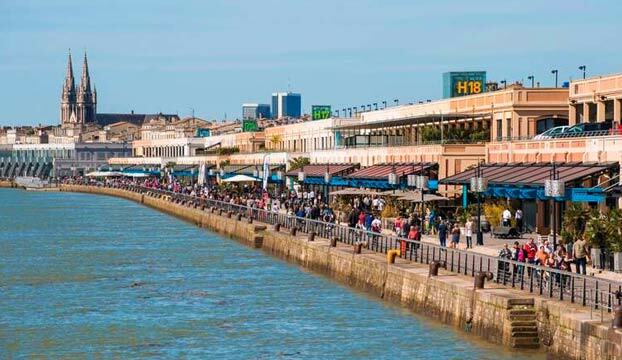 Situated in the south-west of France, near the Atlantic coast and in the very heart of a legendary wine region, Bordeaux has more than 350 buildings which are listed as Historical Monuments including the “Port de la Lune” which is listed as UNESCO World Heritage since 2007. 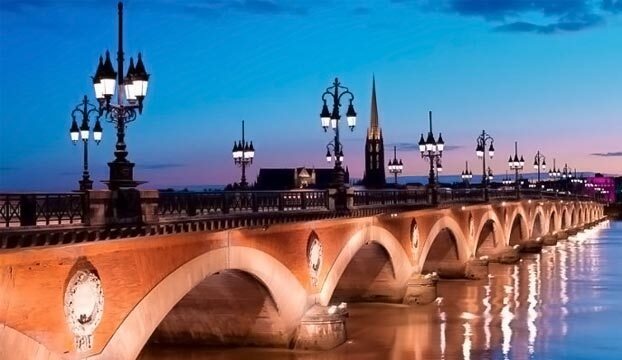 The city of Bordeaux distinguishes itself by its culture, style and elegance. Known to the world as the capital of wine, the city has many wine cellars offering wine at unbeatable prices. The wine of Bordeaux can be enjoyed in various restaurants, bistros and tapas bars in the city center and is always recommended when it accompanies some good specialities from the southwest region. But wine is only half the story in Bordeaux. The efforts to enhance the Cultural Heritage have borne their fruits: the city is absolutely stunning, from the Cathedral St. Andrew located at St. Catherine Street, all the way through Place Quinconces. 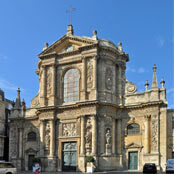 Both monuments and streets reflect the rich past and present of Bordeaux. A visit to the museum of Aquitaine or the Museum of Fine Arts is a must. There are loads of shops and cafés making it a lively city center. Booking a tour in Bordeaux during your stay is also a must, particularly tours to see the great vintages of the Médoc or the magnificent heritage of Saint-Emilion for example. When the temperatures climb, the sea and the beautiful beaches of Gironde are not far away and well worth a detour! Things to see in the Bastide: The church Sainte Marie de la Bastide, La Maison Cantonale, Le Lion bleu Vaillant, The Botanical Garden, The banks of Quai des Queyries, the Eiffel Bridge. The southwestern part of the old town (around the Victory Square) is the bohemian and student area of Bordeaux. Lovers of antiques need to head to the neighbourhood of Saint-Michel which hosts a huge flea market on every Sunday morning. Things to see in Saint-Michel: The Basilica of Saint-Michel, La Fontaine de la Grave located at the Salinières dock, and, in the Saint-Jean neighbourhood: The Church of the Sacred Heart, La Gare Saint Jean, Château Descas, Le Jardin des Quais. In the northwest neighbourhood of the Old City (neighbourhood of Quinconces and of the City Hall), are located numerous restaurants and posh cafés, banks and financial service providers, and luxury shops. It is in this northwestern part where the "Golden Triangle" of Bordeaux is located. 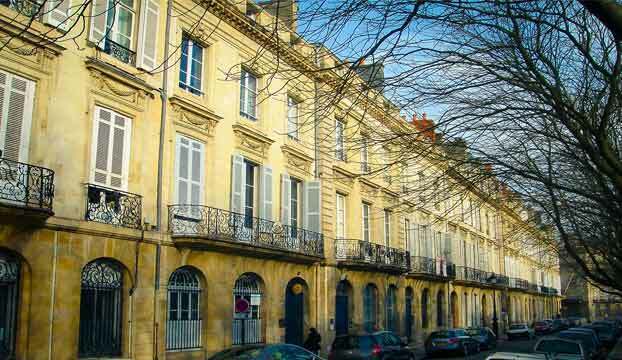 This sector, whose shape is a nearly equilateral triangle bounded by Clemenceau course of the Quartermaster and alleys of Tourny is considered as the showcase of luxury Bordeaux. Outside the city walls are the old suburbs; Chartrons district, district of Grand Park, Lac area, right bank, the Saint-Seurin, Saint-Genes district, which are all quiet and pleasant neighbourhoods. 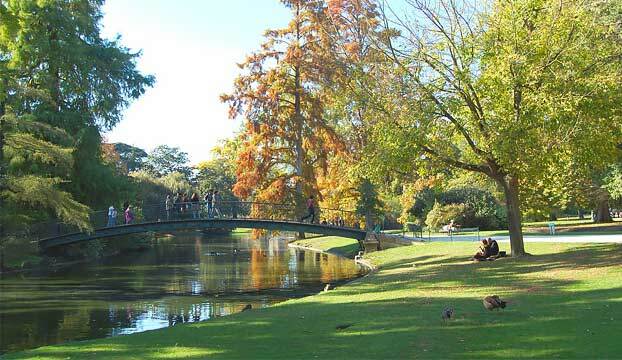 Things to see in the Lake neighbourhood: The Floral Park, Le Bois de Bordeaux, the lake and its landscaped banks, the beach in the summer and the Aquitaine Bridge. In ancient times, the Romans founded the city of Burdigala in the location of a Gallic blacksmiths village. As from the 1st century the city expanded rapidly and walls surrounded the city for protection against repeated invasions. However, after the fall of Rome, the city deteriorated. In 1137, Aliénor gave as dowry both Guyenne (former Aquitaine) and Bordeaux to Henry Plantagenet who became King of England. Bordeaux was then English and became rich as a result of the wine trade in Northern Europe. The Aquitaine lords fiercely fought against the French but in 1453, the city of Bordeaux became French again. Louis XIV ordered the destruction of a part of the city during the Renaissance period so that Vauban could construct fortifications. In the eighteenth century, Bordeaux continued to expand its wine trade activities and made a fortune through the development of triangular trade. The medieval city was destroyed to make way for a modern city with beautiful gardens, promenades, squares, magnificent hotels, palaces and a theatre. In the nineteenth century, Bordeaux suffered the continental blockade but found its place under the Second Empire. In the twentieth century, Bordeaux is a bourgeois town enjoying the wine trade but since 1995, the city is changing appearance and has a new modern touch.